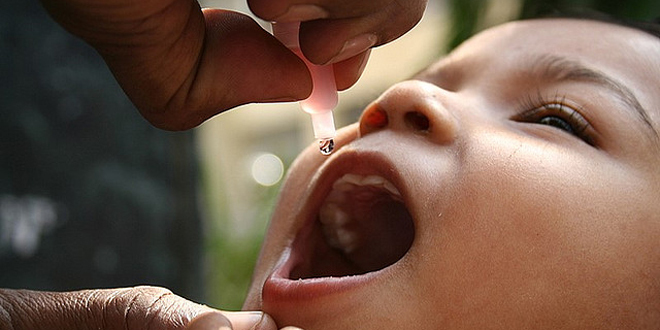 An infant being given the oral polio vaccine. Most of my research on this topic concerns eradication--the removal of a pathogen from nature. Smallpox and rinderpest (a cattle disease) have both been eradicated. The world is currently trying to eradicate other diseases, including polio and Guinea worm. “Economic Considerations for the Eradication Endgame,“ Philosophical Transactions of the Royal Society B, 368(1623). doi: 10.1098/rstb.2012.0149, 2013. “Stop! : The Polio Vaccination Cessation Game,“ World Bank Economic Review, 24(3): 361-385, 2010.
with O. Sabot, J. M. Cohen, M.S. Hsiang, JG. Kahn, S. Basu, L. Tang, B. Zheng, Q. Gao, L. Zou, A. Tatarsky, S. Aboobakar, J. Usas, J.L. Cohen, D.T. Jamison, R.G.A. Feachem, “Costs and Financial Feasibility of Malaria Elimination,“ The Lancet, 29 October 2010. “Polio Eradication: Strengthening the Weakest Links,“ Health Affairs, 28(4): 1079-1090, July 2009.
with Bruno Moonen, Jim Tulloch, and Dean T. Jamison, “Making the Decision,“ in Richard G.A. Feachem, Allison Phillips, and Geoffrey A. Targett (eds. ), Shrinking the Malaria Map: A Prospectus on Malaria Elimination, San Francisco: The Global Health Group, Global Health Sciences, University of California, San Francisco, pp. 1-18, 2009. “Emerging Infectious Diseases: Are We Prepared?“ in F. Fukuyama (ed. ), Blindside, Washington, DC: Brookings Institution, pp. 82-90, 2007.
with Michael Hoel, “Optimal Disease Eradication,“ Environment and Development Economics, 12: 1-26, 2007. “The Smallpox Eradication Game,” Public Choice, 130: 179-207, 2006.
with M. Miller and D.A. Henderson, “Control and Eradication,” in D.T. Jamison et al. (eds. ), Disease Control Priorities in Developing Countries, 2nd edition, Oxford: Oxford University Press, pp. 1163-1176, 2006. “Eradication vs. Control: The Economics of Global Infectious Disease Policy,” Bulletin of the World Health Organization, 82: 683-688, 2004. “Health as a Global Public Good: Lessons from International Environmental Law,” Proceedings of the 98thAnnual Meeting of the American Society of International Law, pp. 13-16, 2004. “Global Disease Eradication,” Journal of the European Economics Association, 1: 591-600, 2003.